Please check out “Bath Crashers” on DIY Network this coming Monday, September 15th! Gravina’s Window Center of Littleton is proud to be a part of this bathroom makeover! Episode: “MILE HIGH CEILING” – This bathroom is too big, ugly and tacky for these homeowners. To tackle their bathroom nightmare, they call upon Bath Crashers to create a modern masterpiece for the space. 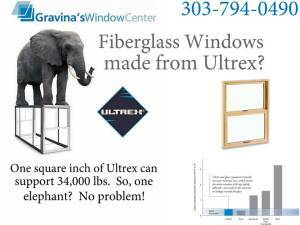 We use Infinity Fiberglass Windows from Marvin Windows. Built for Life! Episode: “MILE HIGH CEILING” – This bathroom is too big, ugly and tacky for these homeowners. To tackle their bathroom nightmare, they call upon Bath Crashers to create a modern masterpiece for the space. Making this space a real retreat starts with trashing the tub that takes up half the room. In its place is a large, unique, steam shower featuring pebbles on the floor, sleek glass tiles on the back wall, and multi-colored blue octagonal tiles on the front wall to produce a rain drop effect. The entire shower space is accessed from glass doors on each side. The shower floor pebbles flow outside the wet area to form a faux moat with LED lighting, then segues into planks of hand-scraped eucalyptus wood flooring for the remainder of the room. The shower is flanked on each side by storage cabinets with a special make-up mirror and hidden bench seat for her. Across from the storage cabinets sit his and hers furniture-style vanities with curved drawers and granite tops with built-in sinks. Clear glass pendants are suspend above each. The ceiling is layered with planks of reclaimed white-washed wood veneer, and a large window is set to provide a beautiful vista of the Rocky Mountains.